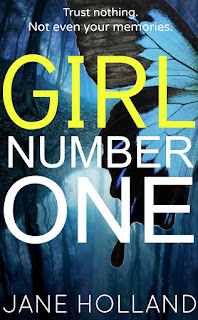 The new revised edition of GIRL NUMBER ONE is out August 9th 2016 with Thomas & Mercer, and I'm running a NEW Thunderclap Campaign to help promote it. Do support me by clicking the link below! Forgive the theatrics. But it's all in a good cause. Honest. As a writer, you may have heard of 'Thunderclap'. It is rapidly becoming THE new method of promoting books on social media. But what on earth is it? And how does it work? You may have 100 followers on Twitter or 5000. Fair enough. You may even have a few thousand friends on Facebook. Great stuff. But using Thunderclap, you basically harness the combined social reach of 100 or more friends and followers, giving you a MASSIVE group to which you can promote your book. You join up at Thunderclap and decide on your goal - 100 people tweeting a link to your book on Amazon along with a short promotional message is the method I went for - then start asking other people in your social media reach, i.e. your friends on Facebook, Twitter, Tumblr or LinkedIn, to "support" the campaign. Supporting a campaign means visiting the Thunderclap site, agreeing to let them access your info on one or more social media accounts - just like when you access any app like Instagram that posts elsewhere for you - and clicking Support This Campaign. You can choose which social media account you want to use for supporting it, then Thunderclap will post the other person's campaign tweet or post ONCE ONLY on a certain date at a certain pre-arranged time. That's the THUNDERCLAP effect. One hundred people or more at once saying, 'Read this book! 'across a range of widely differing social media accounts. And for those who feel this will be an annoyance, I doubt it. Many of the people who are supporting my campaign do not particularly overlap in their friends with my own, so a hundred or so tweets or posts going out to several hundred thousand people is unlikely to cause much annoyance. And it's FREE. No obligation to buy and no hidden cost to you. Just an agreement to let Thunderclap post my chosen tweet on your account come Monday October 19th. If you don't reach your chosen number of supporters - which is 100 for me - then it will not happen at all. The campaign will have failed, and no messages will go out anywhere. To help boost my numbers, I joined the Thunderclap Campaigns Facebook group and agreed to reciprocate with other campaigns in return for votes. Without that help, I doubt I would have made my goal. Worth considering. A large proportion of people who share your message asking for supporters WILL NOT support the Thunderclap campaign themselves, for whatever reason: some may dislike allowing access to their account even for a one-off tweet or share; some openly dislike book promotion in any form (a staggering number of these also believe it's possible for independent authors without publisher back-up to sell books without actually telling anyone about them, just by being nice and hoping people notice they are authors, LOL); others may not want the kind of book you've written to appear on their social media feed. I myself discreetly passed on reciprocating with some of the writers who backed my campaign, mainly because I did not want to seem to be supporting certain kinds of dodgy erotica. I felt bad about that, but staying 'on message' is important on social media. Following my Thunderclap on Monday at 5pm, when 117 people on social media reposted my message to a social reach of nearly 655K people, to check out GIRL NUMBER ONE on Amazon, at first nothing seemed to happen. It was a little worrying. Then slowly sales started rolling in late that evening, and the day finished at 100 copies sold at £1.99 during that 24-hour period. The borrowed pages read (via Kindle Unlimited) reached 14,000. The ranking shot up 70 places to #150. That was the Thunderclap effect and I was fairly pleased with it. It's now starting to subside a little, as one might expect. But you can help stop the slide by sharing this post, my book details, or buying the book itself in paperback or ebook. 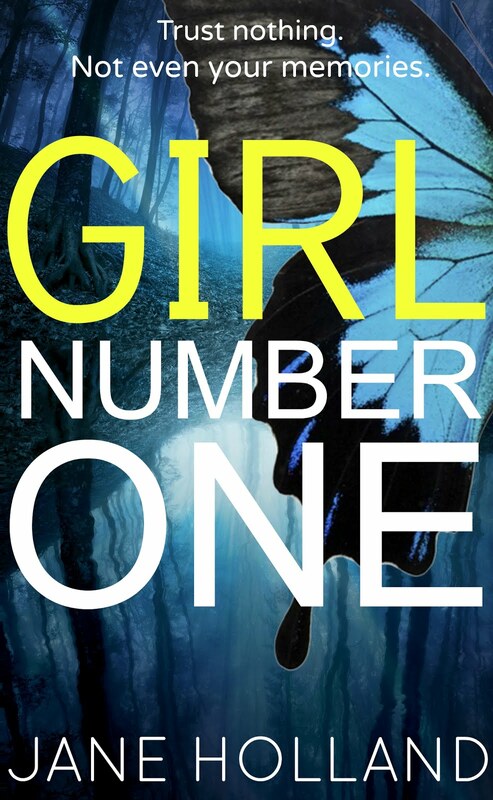 It is now almost ONE MONTH since the Thunderclap for Girl Number One. Today, the book is at #14 in the UK Kindle chart. As far as I'm concerned, a well-organized Thunderclap campaign with strong follow-up promotional efforts on social media can reap huge rewards. Overall, feedback and response have been very positive. One (male) writer on Twitter told me it was a mistake to do a Thunderclap as it would 'put people off the book' and was annoyed when I disagreed. I believe it's safe to say he was mistaken. It is now a little short of two months since the Thunderclap. A few days ago it reached #3, my highest-ever ranking with any book. and stayed there nearly a full week. GIRL NUMBER on Amazon UK and on Amazon US.